Addeddetails available upon written request. philosophic foundations and its later beliefs and rituals are two completelydifferent ways of life. Today (1982) Taoism claims 31,286,000 followers. The title of this article is misleading, as the content of the article attests. Subramanian Swamy, the article states, is not only anti-Muslim, he’s also anti-gay, anti-the mentally ill, and anti-members of India’s repressed Dalit caste. Would it not have been more accurate to replace “anti-Muslim” in the title with, say, the words “incendiary comments about various groups” or some such? Words matter. Having gotten that off my chest, it occurs to me that, all over the world, groups of people are being divided and pitted against one another for the purpose of enriching the coffers of unscrupulous politicians who take advantage of people’s lower angels. In the Christian tradition we would say this happens at the instigation of the Father of Lies. That being the case, people who call themselves Christian should pay more attention in order to determine who’s making an effort to divide people and who’s making an effort to unite them – if they really believe what they profess to believe. It matters. When the religious and social observations by a person are stinky, the economic observations from the same person will be too. There can’t be a valid reason for MIT needing this guy to appear. The Father of Lies that you allude to is me, Subramanian Swamy and other idolators. The very names “Ananth”, “Sethuraman” and “Subramanian” are the names of some of Satan’s minions. Why do you still want to keep a theology that contains the concepts of Satan/Shaitan, false religion, criticism of idolatry, true God/Allah, only God/Allah, conversion, proselytization, and a linear view of history? We can offer you a reading of the Bible that enables you to walk away from these dreadful concepts. ““Commitment to diversity and inclusion are fundamental values of MIT…” so no diversity or inclusion for Subramanian Swamy though – guess being liberal has its limits, eh? It depends on how much external pressure is brought to bear. Subramanian Swamy is pretty mainstream in Indian politics and the ruling BJP (Bharatiya Janata Party). By Western standards he and his party would be described as right wing. Historically its foreign policy combines aggressive Hindu nationalism with economic protectionism. Antagonism toward Pakistan in BJP’s ideology. The party strongly opposes India’s long standing policy of non-alignment. I don’t understand why the invitation was extended. No problem. But at least let us put your answer in those chapters of social science textbooks that talk about religion. That way, the public will know that the issue is in the theological domain, ie, something that journalists, history professors, and politicians cannot solve. Are you a theologian? Your posts indicate you are not. Nor is theology in the social sciences that deal with society and the relationships among individuals within a society: anthropology, archaeology, communication studies, economics, history, human geography, jurisprudence, linguistics, political science, psychology, public health, and sociology. So, I won’t expound on Hinduism to you, nor would be interested in your expounding on the Bible to me. Perhaps they thought the students could learn something? Sacred/revered cows, monkey gods, castes, reincarnations and therefore Hinduism fails as a religion!!! It is hard to compete with Bilgrimage when you’re restricted to facts and reality. Tell you what – you believe what you want and I’ll believe what I want. How’s that? By all means let us not expose our students to differing, if noxious, views, even if those views are currently relevant in politics and society. Our college regularly invited speakers from all along the political spectrum. We even had Pope Paul II visit our school and I was there to listen. Only listening to one side is like rowing a boat using oars on just one side. You go around in circles. Diversity for people who despise diversity, yeah it’s a reasonable limit. One does not have to accept who seek to wipe out others. I agree and appreciate your comments, but I have to ask about “we even had Pope Paul II visit…” First, I assume you mean John Paul II, not the guy who was pope in the 1400s. Was that a hardship to have John Paul speak at your school? I’m not Catholic and have little use for hierarchical churches, but he seemed like a genuinely good man (as people go). There is a well-developed thesis that the social sciences are secularized variants of ideas that originated in theology. Some authors who have written about this are: Carl Schmitt, Lowith and Hans Blumenberg. Sorry, JP II. It was at the University of South Carolina in 1989. I genuinely liked the man and though I disagreed with him on many points I felt it was important to hear what he had to say. So, MIT should rightfully been intolerant to those who did not want the man because of their intolerance? A person who relies on tolerance to attack the ability of others to speak and repress the rights of others, abuses the privilege and undermines the society which enabled them. People who incite pogroms and mob violence are not exercising free speech. They are not entitled to the benefits of a system they attack. Society does not have to tolerate intolerance which threatens its existence. Besides, MIT is a private entity, they are not bound by law to permit this person to speak there. (An argument frequently heard by people like yourself concerning speakers and teachers Evangelical Christian colleges). The limits are strained when one viewpoint is literally advocating pogroms as this person does. Just because there are two sides to a given issue doesn’t mean both sides have equal merit. About how to incite sectarian violence and disenfranchise people? Or to tolerate, and perhaps learn from other’s opinions? Gosh, we wouldn’t want that at a school eh? Who’s rights are being repressed by this man teaching at a university? I thought “free speech” was for everyone. You are denying him his right to free speech, Tater? What mob violence has he incited? Its a private university, free speech rights have as much to do with it as it would if you were reacting to a speaker or teacher at a religious school who goes “off-dogma”. None really since it is not a government entity. I get it, hypocrisy is not something people admit to openly. But lets face it, your level of care for free speech on a private university is very selective and limited by the kind of school. MIT can do what it wants here. In India, its in the article. He inspired literal pogroms. As is their prerogative. A private university has a clear duty to protect its reputation. They should have vetted the person before extending the invitation. But that is more a matter of manners than anything else. His opinions are that certain classes of people in his country should be attacked by law, banished or killed. Its more than a difference of opinion. Nobody needs to tolerate it. The concepts I referred to make Christian and Islamic theologians to be perpetually dissatisfied with what can be achieved by means of political compromise. Both sides should always be given the opportunity to speak. Let individuals then decide on the merit of the speaker. We don’t need groups to decide what is with merit or not. Please point the sentence, for I missed it. Most Indian papers don’t attribute violence to Swamy. Oh – similar to Berkeley? My prior comment still stands. Eliminationist views never worthy of merit. Calls for entire classes of people to be declared “non-people”, to call for their discrimination and/or death, are by their nature simply wrong and immoral. I’m for transparency. Let the fools speak and the people will turn away. It is Syed Ali’s assessment that you are quoting. And Syed Ali himself attributes violence to the party’s hate rhetoric, and not to Swamy as the individual. This tallies with what I have observed: Indian papers don’t actually attribute Swamy with acts of violence. 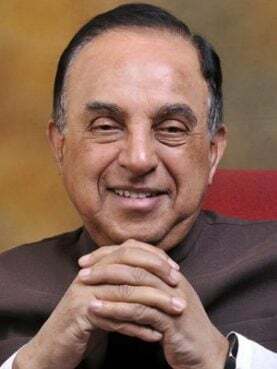 Indeed, Swamy is sometimes called to debate with two Muslim leaders known as the Owaisi brothers, who themselves are known for colorful remarks. The reason you didn’t notice all this is, that you are deeply burned by the Jewish Holocaust; therefore any possibility of mass murder resonates with you. All good. I can only ask you to consider the following: One, and the same, historian will tell you two things: First, the Jewish Holocaust must be mentioned in history curricula. Second, mass murder or expulsion of Hindus must not be mentioned in history curricula. Will Durant, an American historian, is no longer referenced. Durant is not falsified, just not referenced. Likewise, the 1971 Bangladesh massacre is not in history curricula. Nor is the 1989 Hindu exodus from Kashmir. Why is there this difference? Why do historians have a policy of treating Jewish deaths differently from Hindu deaths? Be that as it may, these are investments we kafirs/infidels did make towards peace. Please train the Aysha Khans and the Audrey Truschkes to recognize this in their journalistic and research writings respectively. MIT could do without that nonsense. They are a private university, they have no obligation to bother. Oh; so only the “right” kind of speech should be allowed. Funny how you and the rest of the right wingnuts would never argue for free speech if this was an Evangelical Christian university. You would go straight to “private university, their rules”. Also funny that the people who argue about being those banned from internet discussion boards frequent boards where people are banned for not sharing political views. I will always be an anti pogroms / lynch mob kinda person. If this was an Evangelical Christian college firing a teacher or turning down a teacher for having views antithetical to the school, you would be supporting keeping them out. True, it’s rude. But it’s not the worst thing that can be done. My view is that a private school has no duty to let anyone on if they don’t want them. But also that tolerance has reasonable limits. Like everything else in this world. It’s also my view that your judgment as to what is moral or immoral is gravely impaired if not completely non existent. Want till we get the next story of s teacher or speaker barred from speaking at an evangelical college. I can’t say I’ve ever seen that to be honest. File a permit for a public space. Private school is private property. What are you a commie? Demanding private property be appropriated for public use? Why do you hate private property? It’s not a public space. If the private school doesn’t want a speaker, it doesn’t need a reason. It’s a their property and they have every right to control who occupies it. It will come up here. It will pale compared to Berkeley and its riots. Until people are willing to listen to those they oppose – things will never change. It always does. When we get those stories, conservatives change their tunes. Suddenly that concern for freedom of speech is not as important as the sanctity of private property. Having double standards based on the politics of the subject is what you do. Standards are the thee, never for me. I don’t think freedom of speech means being able to bust up someone’s storefront. I don’t think you are addressing the topic in a relevant manner. What else is new? I know what it is. You apparently don’t. I am not interested in discussing it with you. Carl Schmitt is known as the “crown jurist of the Third Reich”. I am not commenting on the applicability of the First Amendment; much less am I calling for abridgment of rights in private property. Your reply is misdirected. Oh – more bad news for you. McCabe admits the whole Russia investigation was a sham. Confirms soft coup against trump like I told you months ago. LOL! Is that before or after you were visited by Glenda the Good Witch? Manafort just got hammered by the Court for violating his plea agreement, deliberately lying to Congress about his meeting with Russian agents. 42 Indictments and counting say you should cite a source before making such fanciful statements. Next up, the link between the FBI, the Clinton campaign and the Obama White House is exposed. Obviously he doesn’t to trollish information-free supporters of Trump. 42+ indictments and counting > nonsense spouted by a person who is generally veracity impaired and loves to change subjects when a topic is way out of their knowledge base. I brought up McCabe and you diverted to Manafort. You are still drifting far from the subject. Didn’t read the same take on McCabe as you did. where are you reading that it was a sham? I see that you do not find a moral basis for freedom of speech. Rather, for you, it is all about the First Amendment and enforcement by the state. My comment appealed to a morality that you and I do not share. I said your reply is misdirected. Now you know why. So your last post was a lie. You were discussing the first amendment. As I was saying. Freedom of speech doesn’t apply to permission to enter private property. The state is not an actor in this situation. A private college and a paid speaker are. You are trying to make arguments which not only do not apply, but are ones you would use yourself if this was a Christian college. You are asking for tolerance from others that you would never extend. You arbitrarily call that a lie. Where have I asserted that MIT violated anyone’s rights guaranteed by the First Amendment? 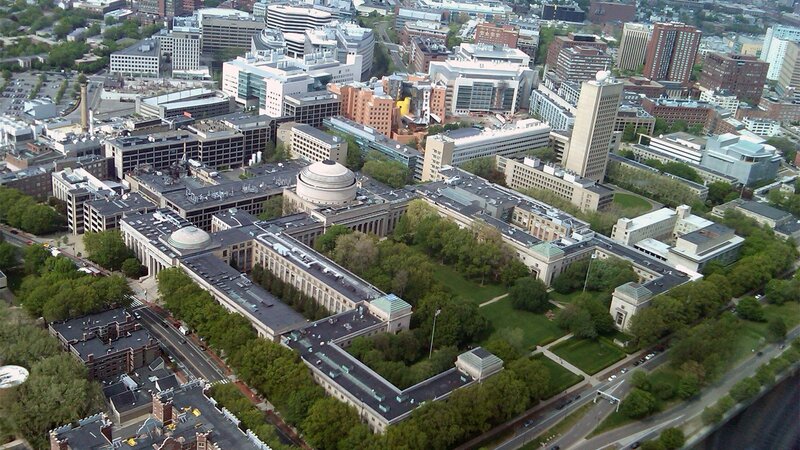 Where have I asserted that MIT is subject to legal sanction for violating anyone’s civil rights? Educate yourself about McCarthyism. You will learn that people were legally but immorally silenced. It may dawn on you that exclusion from a forum can be just morally wrong. You seem to want it both ways. First to claim there is a 1st Amendment issue, then deny there is a 1st Amendment issue. Your analogy is terrible too. With McCarthyism people were being legally silenced. Some were even thrown in prison. The HUAC had legal authority. BTW my arguments presented here are the exact ones people such as yourself proffer when the school is an Evangelical Christian college doing the same thing to a speaker or teacher. The difference being that I am honest enough to acknowledge private colleges have every right to control speech on their campus.